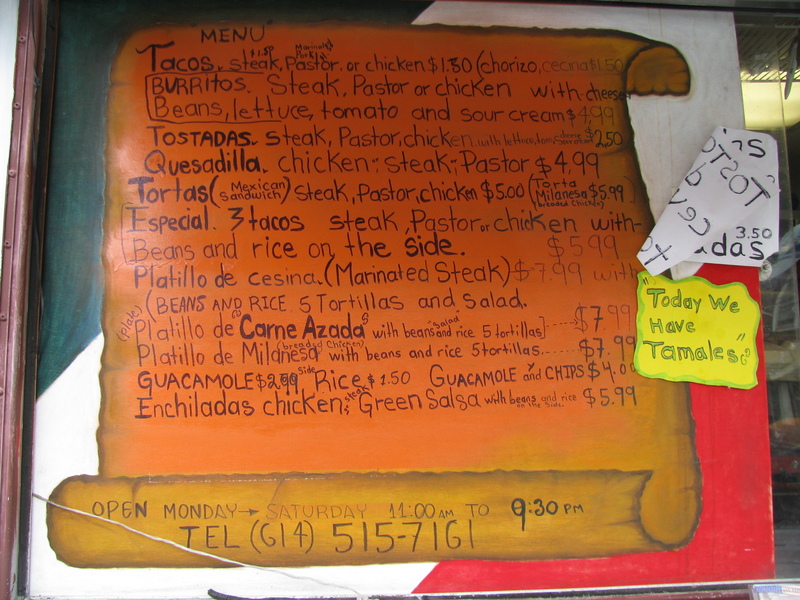 Do you thin Los Primos or another enterprise will offer tamales similar to those of Taquerie Davanne? They we especially nice. Los Primos had tamales but the one I sampled yesterday was not as good as Davanne’s. In the winter you can sometimes find coolers of tamales at some of the smaller markets like Mi Bandera and Casa de Pueblo on Bethel. 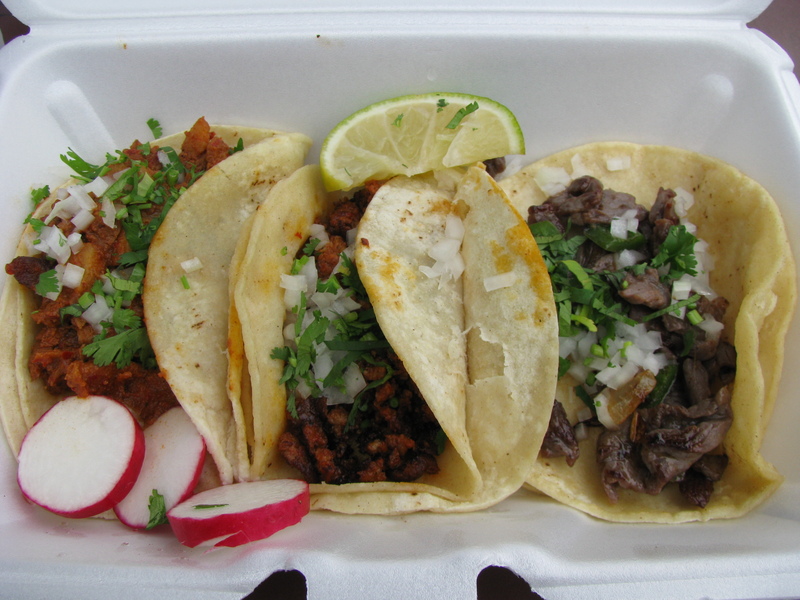 Other trucks that have tamales areTaqueria La Fonda on the east side, Taco Nazo (winter only) and Taquikin. I really miss Angel and his wife. They were a great couple, and a credit to the neighborhood, frankly even more than the owner of the Las Maravillas. He helped me out when my truck was stuck in the ice, and I was able to give him a jump later on down the road after his kids left the door open all day. The new guys are nice. I mean, it’s not Angel’s cooking but its certainly worth a shot if you’re in the area and feeling something other than Juniors. Juniors is pretty awesome though. It’s a good dilemma to have. 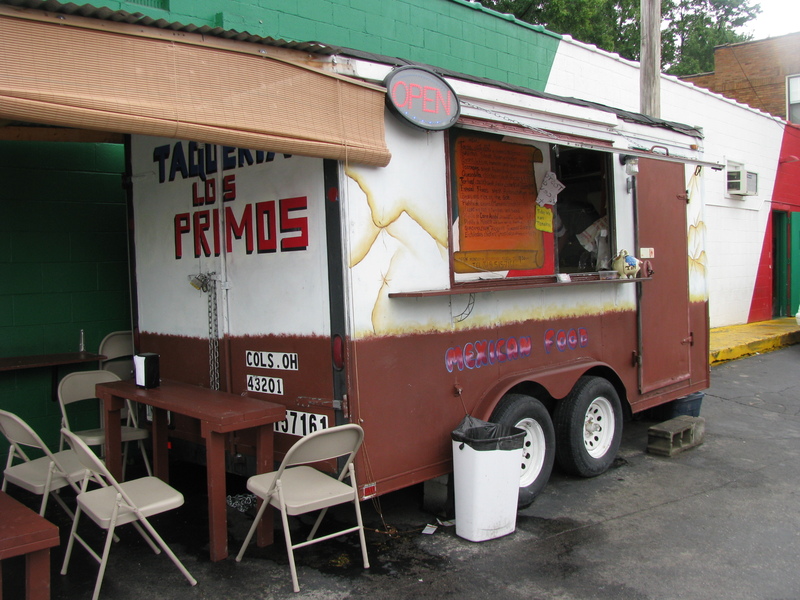 We just listed this page of Columbus Taco trucks, in the “Iron Chef Columbus Ohio” page in Facebook. My fiancé and I tried their ceviche and it was some of the best I’ve ever eaten. Everything was amazingly fresh and delicious! The weekend we dined outside of the buggy the chef had suggested he had a specialty. Beef tongue tacos were offered to us after a scrumptious sample of the roast tongue! Wow were they good! We ate til we split a gut. We were invited to return the following week for fresh headcheese tacos. We regretfully didn’t make it as I was intown shooting a film and had a conflict with working late. I recently had moved back to Ohio from southern California and had been craving an authentic mexican meal for months! This taco truck takes the cake! Taqueria Los Primos’ fish tostada (tostadas de ceviche) is great! Each time I have it I wanna eat more! Fresh and delicious chunks of fish is mixed with tomatoes, onions, jalapeno peppers, lime juice, cilantro.. (I don’t know what spices else they add to this mixture). And it is $ 3.50. I also tried their chicken, al pastor and chorizo tacos. Their chicken tacos and al pastor tacos were fine (good amount of chicken/al pastor, onions and cilantro), but chorizo tacos should be eaten at Juniors’, not in this cart (because, chorizo itself was kind of plain: it tasted like it was not mixed with any spices). Anyway, I don’t know if they have still been offering chorizo tacos, I tried it only last summer. Next time, I want to try their cecina tacos (dried meat). They offer cecina as a special plate, too (with rice, beans, salad and five tortillas) for $ 8, I think it is kind of expensive. The owner is nice and always smiling sincerely!. He doesn’t look like his cousin, the owner of the Mexican market, which is behind the cart. Oh, also they accept credit card (they ask you to take your check to the Mexican market behind the cart, a little weird.. ). The last time I payed by my card the check was $8 and the owner of the market behind the cart expected me to buy a drink or something.. so there was kind of a limit of $10 shopping if you pay by card. Enchiladas with chicken & green salsa… awesome. The tamales with red salsa (not the red salsa available at tables) are also delicious. So are the tostadas with ceviche.